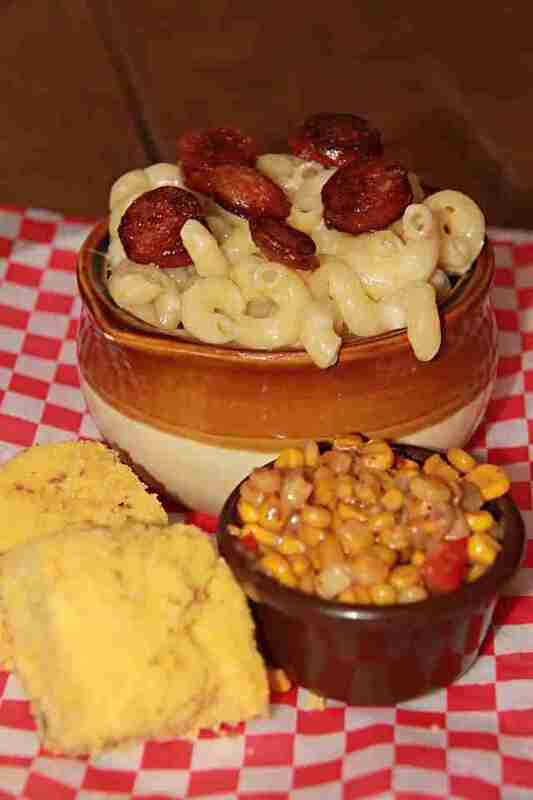 Everybody know that some of the best mac and cheese in Montreal comes from the dep, and out of a blue box -- but what if we told you that there are restaurants here that make their own, amazing versions of the stuff? And that they add things like bacon, lobster, and smoked meat to it?? 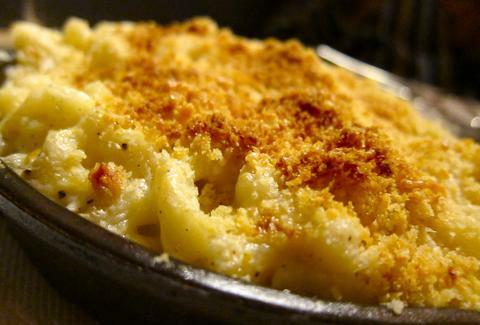 Well, you're welcome Montreal, these are the town's eight greatest M&C dishes. The masterminds behind Le Cheese have one true passion, and that is, well, cheese. 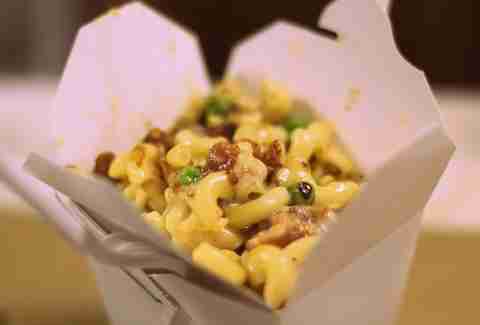 Their all-dressed mac comes topped w/ green peas, bacon, and curdy goodness, and get this: they don’t bake it -- they grill it. It doesn’t get much better than Beauty’s macaroni au gratin, baked to perfection so that their old-fashioned white-rimmed bowls come out of the oven with a perfectly encrusted layer of baked cheese. A solid entry into the list. 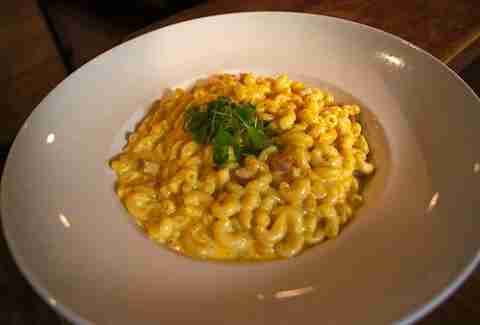 One of the best ways to improve mac and cheese is to add more cheese to it, and the fine folks at Les Enfants Terribles understand this. 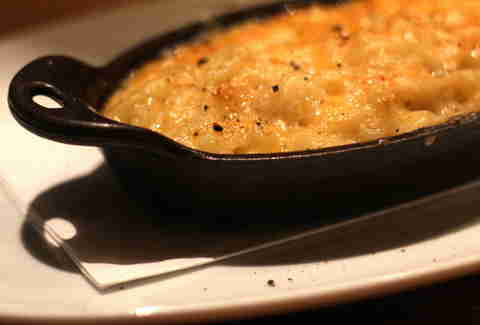 That’s why their mac and cheese comes with not one, not two, but THREE cheeses: cheddar, Gouda, and Parmesan. 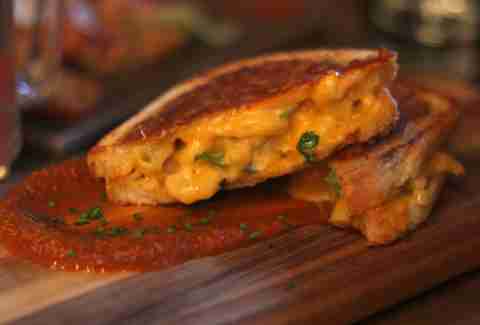 SuWu may have launched a rad new menu, but don’t worry, they wouldn’t dream of touching their untouchably awesome mac and cheese grilled cheese. This perennial favorite packs on the starch in the best way possible. In addition to their “oh-so-delicious” Mac Attack burger, pictured in it’s full glory above, Burger Royal spices up their classic mac and cheese bowl with meaty cheese and bakes it au gratin, which for those of you who don’t know, is French for: "really freaking deliciously". 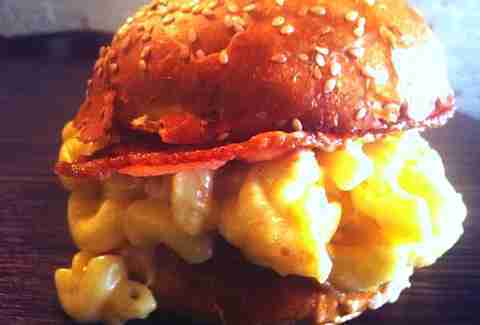 It shouldn’t surprise you that the geniuses behind the Cheesus Burger (a burger that swaps its bun for two slices of halloumi cheese) have mastered mac and cheese. 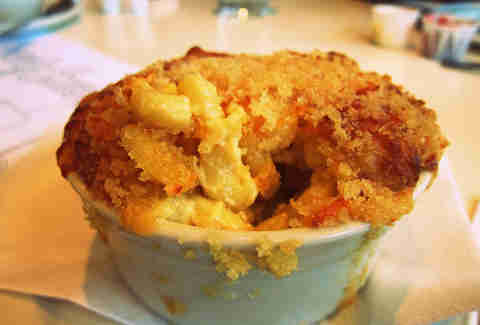 And at $9.99 a pop on their Wednesday mac and cheese nights, well, some decisions just make themselves. 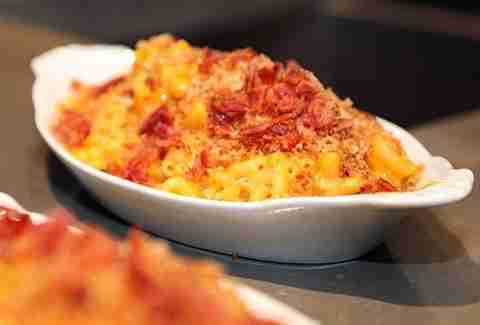 DIY comfort food meets haute cuisine at Vallier where their mac and cheese offering includes an added touch that makes all the difference: bacon cubes. If you’ve always longed to eat this student budget staple in someplace fancy, it would make the most sense to do it here. These guys have definitely upped the city's M&C game, offering their dish with no less than four cheeses and the option to add bacon, duck confit, lobster, ham, and/or smoked meat. Understandably, it's delicious.